The Glenfinnan Viaduct is a single track railway bridge opened in 1901 as part of the west highland line north from Fort William to the seaport of Mallaig. It was one of the first bridges to be constructed using concrete and is the largest of its type in Scotland and was required to transport that large cargo of fish that was landed at Mallaig south to Glasgow and London. 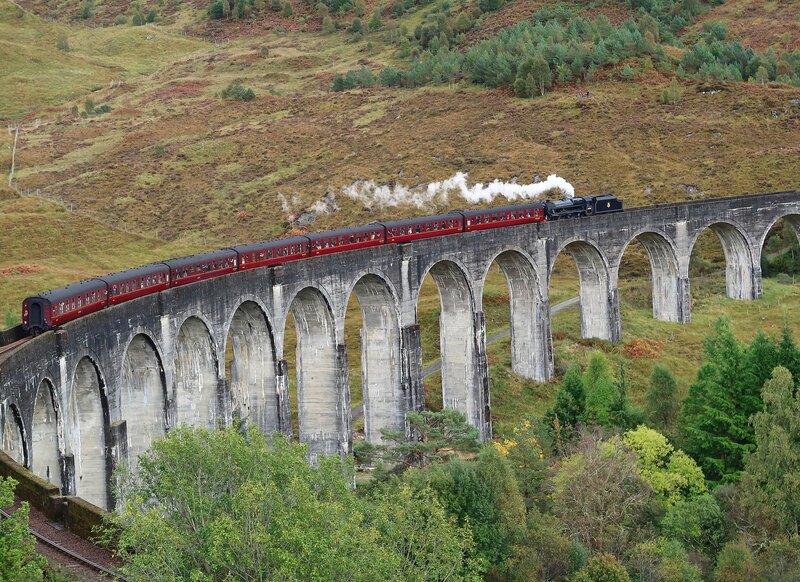 The structure has starred in several films and TV series, including three of the Harry Potter films and the BBC’s highland series ‘Monarch of the Glen’. It comprises 21 arches with a maximum height of 100 feet (30 metres). In its day, it was among the largest engineering works using non-reinforced concrete. 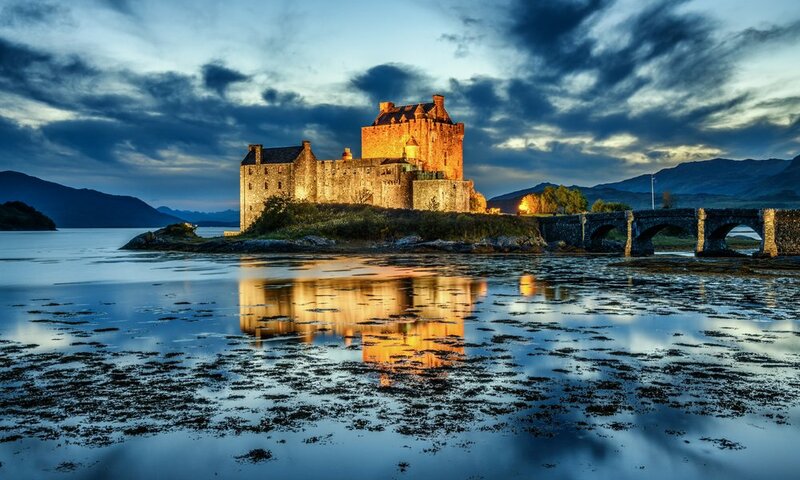 The route is generally regarded as Scotland’s, and perhaps Britain’s, most scenic rail journey. During summer the West Coast Railway Company operates steam trains on the line that are the same as those used in Harry Potter. The viaduct towers over the head of Loch Shiel and the Glenfinnan Monument on its shore and affords spectacular views of the loch and the surrounding mountains. The monument commemorates the landing of Bonnie Prince Charlie in the Highlands in August 1745 at the start of the Jacobite uprising. After a successful start, the rebellion ended in disaster at Culloden in 1746.